Experience the fun of Mirabilandia, the largest park in Italy. 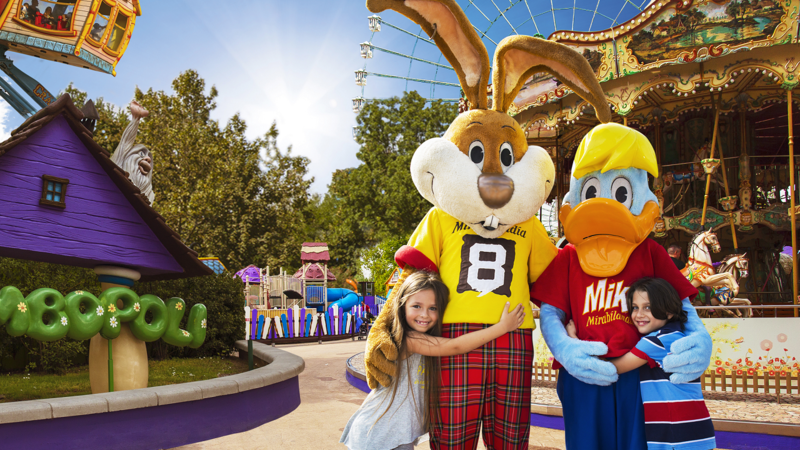 The Brasilia hotel is located near to the park of Mirabilandiais reachable in a few minutes! The park is among the most famous of the Riviera, an ideal choice for fun for the whole Family, with plenty of attractions for all ages. Inside the park is Bimbopoli, the city dedicated to children, with attractions and games designed for small children and older children, ideal for parents to share unforgettable laughter with their children. For all lovers of the most adrenaline-pumping, a lot of the breathtaking attractions with which to test their courage: the famous Katun river, the Twin Towers, Divertical, the super-fast roller coaster (iSpeed), water games (Rio Bravo, Niagara, Autosplash, etc..) and a lot of musicals and shows not to be missed, first of all, the School Police!! Discover Mirabeach: with an area of 100,000 square meters, including swimming pools, water slides and artificial beaches! 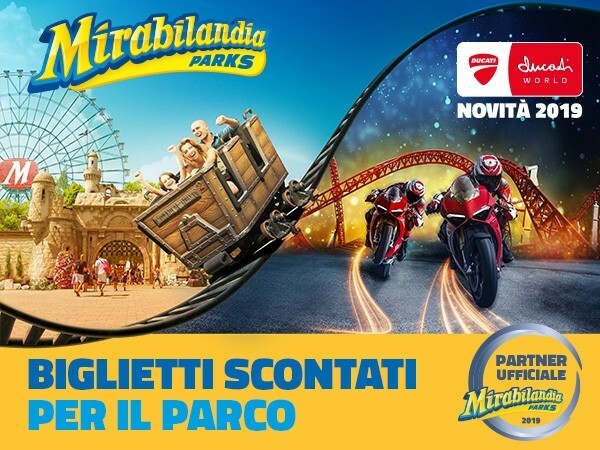 Mirabilandia will open the 6/4/2019! Ducati World is the world's first themed area inspired by a motorcycle brand and set in the context of an amusement park. 35,000 square meters for the exclusive interactive double-track duelling coaster, where visitors can simulate the driving of a Panigale V4 motorcycle. In addition, there is also an area with the latest generation of simulators, the Ducati Experience, to make everyone feel the emotions of a rider. Three different themed refreshment areas and a Ducati World Shop complete the services for enthusiasts.